Move over generic penetration testing. Every business is different, and so are the vulnerabilities. We help you build a flawless, secure web environment, that suits your business needs. We take care of your web application security while you focus on your core competencies. With cutting-edge innovation and thorough evaluation, we ensure that vulnerabilities are found and addressed even before a malicious attack occurs. Customer is Australia's leading insurance company. Customer's security team had been performing penetration tests using various commercial tools like Acunetix, Nessus, HP Web Inspect and IBM App scanner. Customer wanted to test its 14 customer facing applications through a third party to ensure the applications had high Application security maturity. Entersoft conducted thorough security testing with heavy focus on manual security assessments through OSCP certified experts. Entersoft identified and fixed high impact vulnerabilities that avoided huge financial loss to the customer. We truly believe that the best defence is a strong offence. Which is why we aggressively attempt to breach your web application to find every possible bug ourselves. 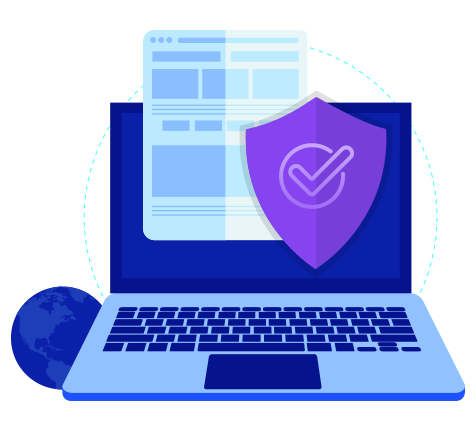 Once the bugs are identified, we offer expert advice and guidance on fixing these issues to make your web applications impenetrable. Our award winning vulnerability management product, EnProbe helps fix your bugs faster. We test your business process algorithms further to identify weak links and help you fix them ahead of attacks. Ahead of the penetration testing we identify what specific vulnerabilities might affect your business processes and competencies. single project we take up. Get a web application maturity report. We will provide a free OSINT(Open source intelligence) based report for your web application. The report provides a maturity score about your Phishing resilience, Software security, Cloud Security, Email security, DNS security and many other results that can be performed using OSINT analysis.